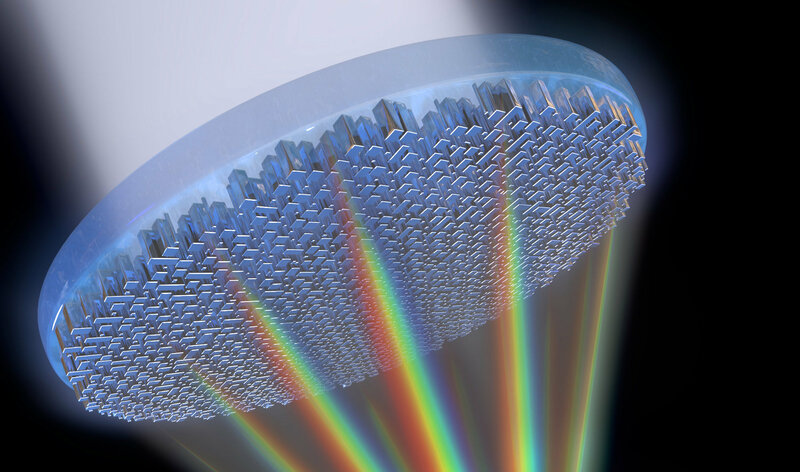 Until recently, metalenses—flat ‘lenses’ that can focus light using nanopillars on their surface—were a cool-but-limited area of study when it came to photography. Sure, these flat lenses are 100,000x thinner than glass, but they could only work with a limited range of colors, making it unlikely they’d appear in a cameras module any time soon. That all changed this week, however, when a team at the Harvard John A. Paulson School of Engineering and Applied Sciences (SEAS) announced that they had succeeded in developing the first metalens that can focus the entire spectrum of visible light, including white light, onto a single point in high resolution. This is a huge breakthrough, and a big leap forward from the same teams’ announcement last February that they had managed to focus all the colors from blue to green. The research was published in the journal Nature Nanotechnolgy, where the team describes a metalens that uses “an arrays of titanium dioxide nanofins to equally focus wavelengths of light and eliminate chromatic aberration.” In other words: where a traditional lens needs multiple curved glass elements of varying thicknesses to focus the entire spectrum of visible light onto a single point, this flat metalens does the exact same thing using nano structures. Metalenses are thin, easy to fabricate and cost effective. 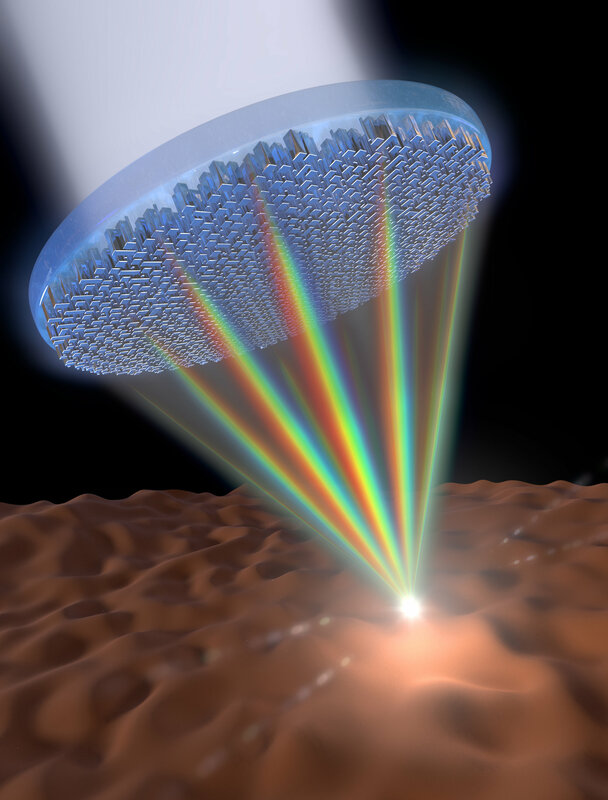 This breakthrough extends those advantages across the whole visible range of light. This is the next big step. The next step for the SEAS team is to make the lens bigger; they’re aiming for 1cm in diameter. In the meantime, Harvard has already licensed the tech to a startup for commercial development, so a real-world product that uses these metalenses might not be as far off as you might imagine. To learn more, or dive into the research paper itself, head over to the SEAS website or read the full paper in Nature Nanotechnology.